The heart of Africa shines through this chic European villa, complete with touches of old and new. Wood and stone accent this spacious villa adorned with royal red and hints of light brown. Marble bathrooms, black and white photography, and pure white Egyptian cotton sheets add smart contrasts to the earthy grace of the accommodations. 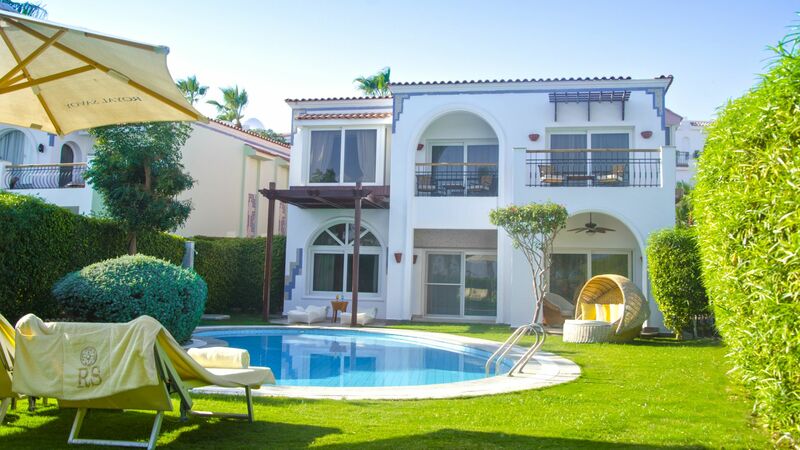 Equipped with a modern kitchen and imported furniture, Villa Luxor embodies the city from which it takes its name and offers guests a sumptuous private garden, spacious balcony, private swimming pool, and direct views over Tiran Island.